If marketers are putting all their chips on Millennials, they could be in for a surprising loss when they realize just how much they are leaving on the table by excluding other demographic groups in their marketing mix and messaging. But marketers are just not marketing to this lucrative “older” consumer: “[Baby Boomers] can sustain and be a strong driver of the consumer economy over the next five to ten years especially the upper-income households. They have the money to spend. It’s a different mindset …now saying, I’ve got to spend it while I’m here,” says Doug Hermanson, principal economist at Kantar Retail. The Boston Consulting Group (BCG) calculates that less than 15% of firms have developed a business strategy focused on the elderly. The Economist Intelligence Unit found that only 31% of firms took increased longevity into account when making plans for sales and marketing. 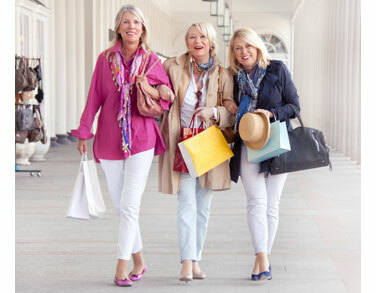 A report by the McKinsey Global Institute points out that older consumers are one of the few engines of growth in an otherwise sluggish global economy. In learnings from 15,000+ hours of VoC research interviews, consumers have told us again and again that they want needs-based personalization that connects with them at a human and genuine level. To develop relationships with all consumers, marketers need to devise personalization that drives engagement by increasing conversion rates and return visits because the consumer feels that the brand understands them. But unfortunately for many age brackets, this is not the case. 1. Millennials represent significant buying power, but they are not the only ones. When marketers put most of their marketing eggs in one demographic basket they are missing opportunities and revenue from other segments that feel the brand does not want their business. 2. Marketers must make the effort to understand the needs, actions, and buying patterns of every demographic group. 3. Marketing needs to “speak” to consumers in a voice that is both authentic and genuine. If the message is stereotypical, consumers have no reason to identify with a brand they feel does not accurately understand their needs or lifestyle. One of the key lines from Madonna’s Billboard “Woman of the Year” acceptance speech was, “The most controversial thing I’ve done is stick around.” Marketers have fallen in love with the pursuit of a digital demographic at the exclusion of other demographic age groups. Now, the key is for marketers to see past the obvious to gain a deeper understanding that all age groups are digital—and have big buying power.